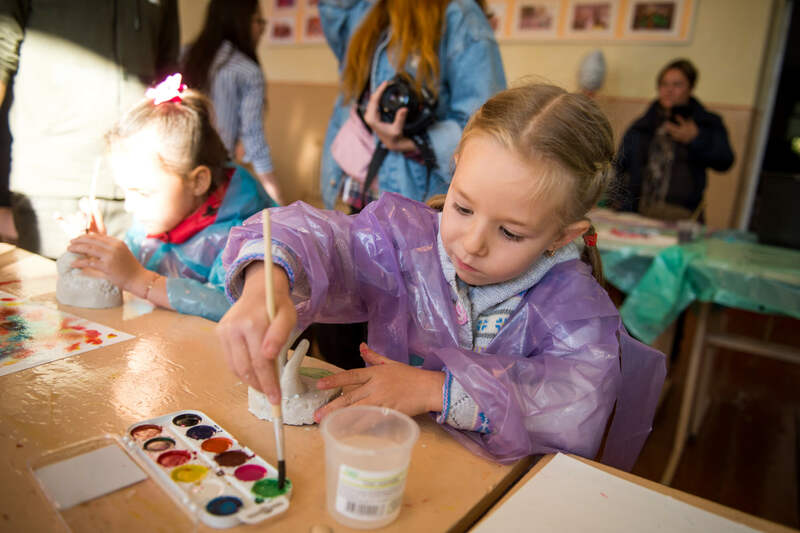 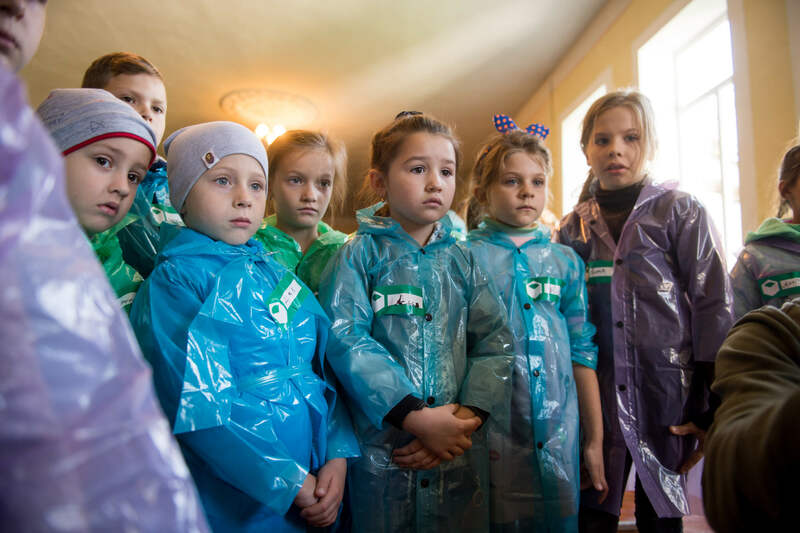 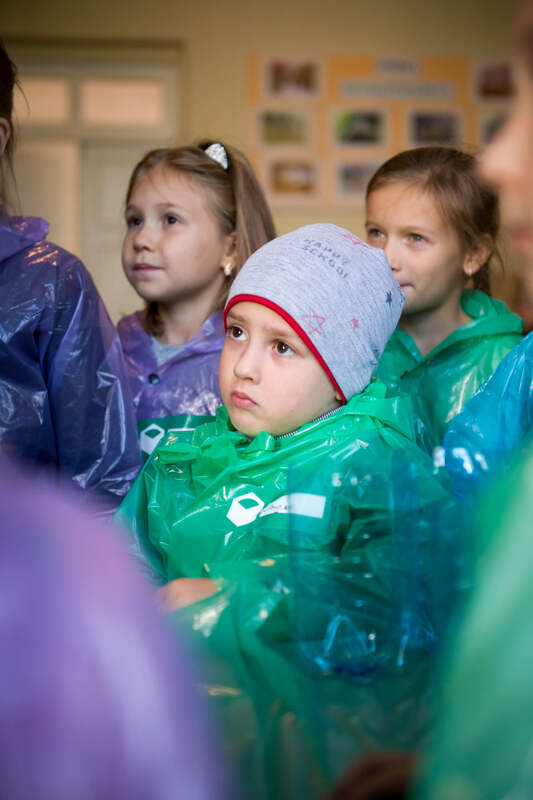 On October 14, the 382th anniversary of the city of Zhashkiv, the Nova Hromada Charity Fund, founded by New Products Group, held an arts festival “Art for Children” for the second time. 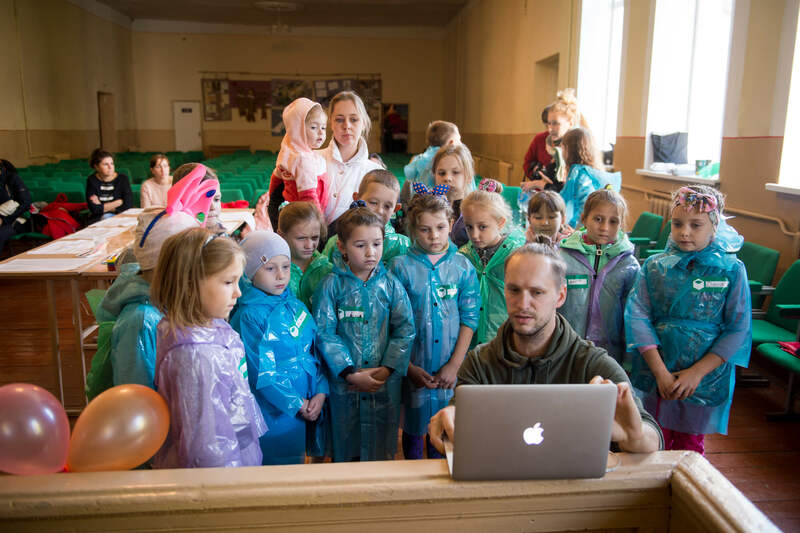 Founded last year, the festival is part of the cultural and educational program “Creative Workshops in Zhashkiv”, which the Nova Hromada Fund has been implementing since 2016 in partnership with the creative team of Port creative hub, a multifunctional space for modern cultural initiatives in Kyiv. 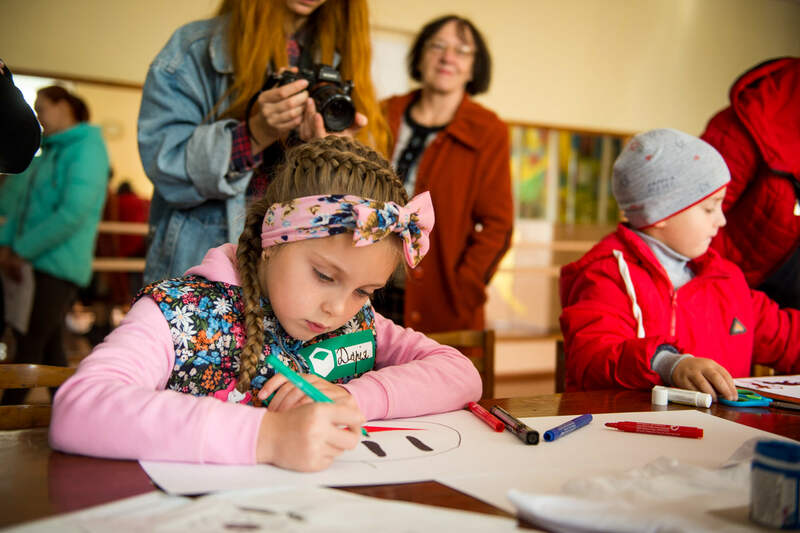 The festival gave the chance for young Ukrainian artists and the children from the Zhashkiv region to make art together. 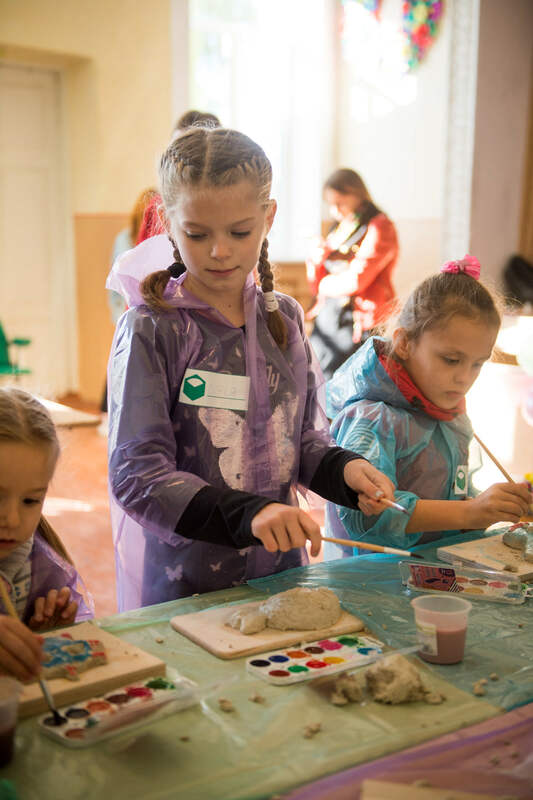 Around 90 young participants in the festivities, which took place at the House of Children’s and Youth Creativity under the Zhashkiv City Council, saw with what materials and in what genres contemporary artists work; heard stories about successful art projects; learned what professions a person with artistic abilities can master today. 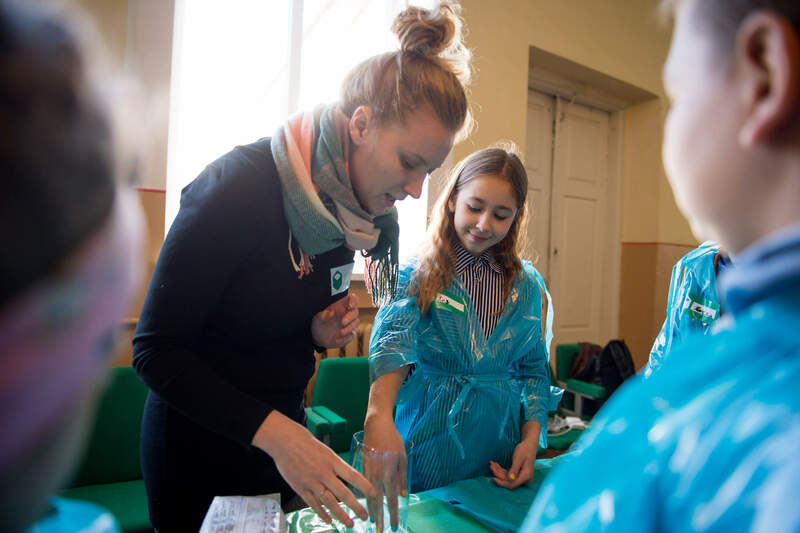 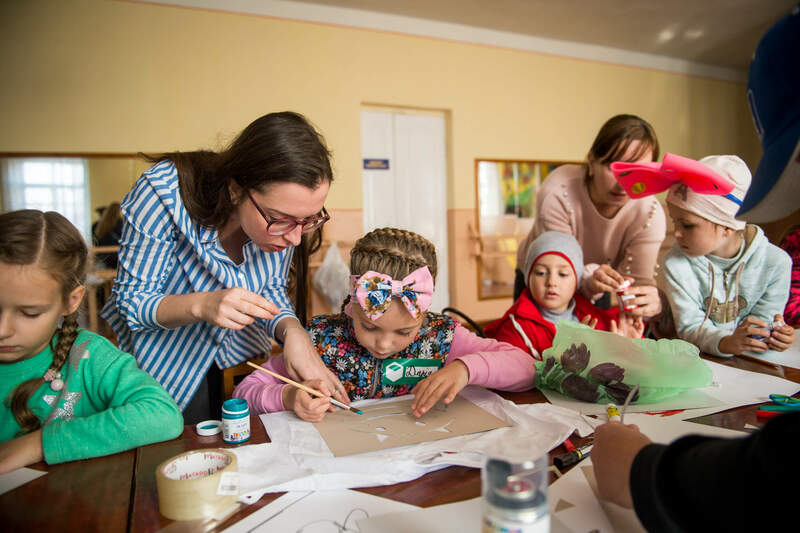 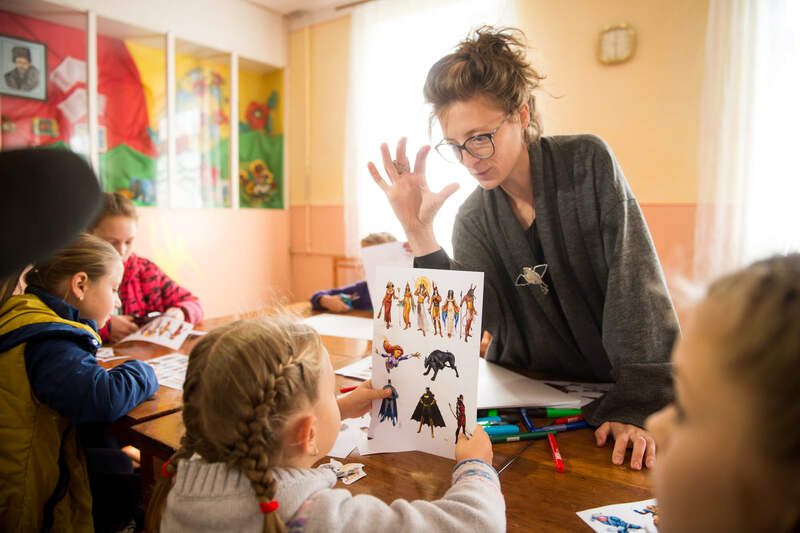 The festival held creative workshops for kids of 8 to 16 years old: artist Maria Kulikovska, sculptor Aleksey Zolotarev, graffiti artist Vova Vorotnev and teacher in early development and humanities Aleksandra Savchenko were invited by the organizers to the festival in Zhashkiv. 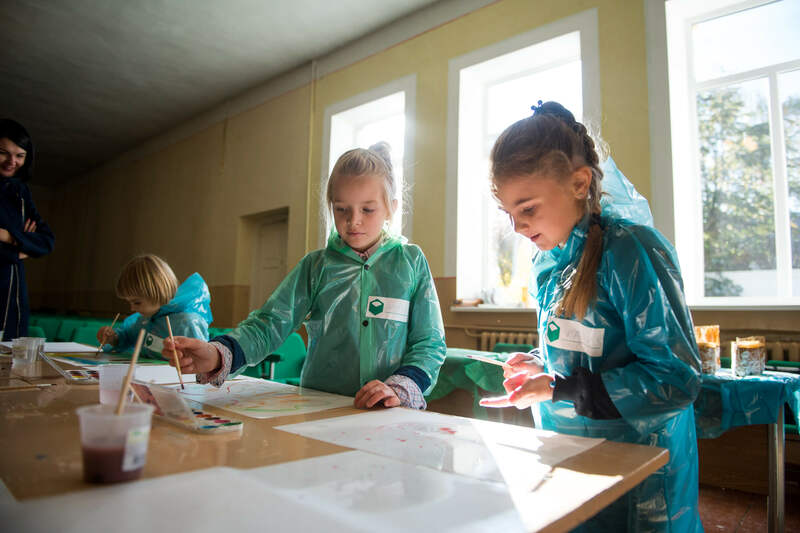 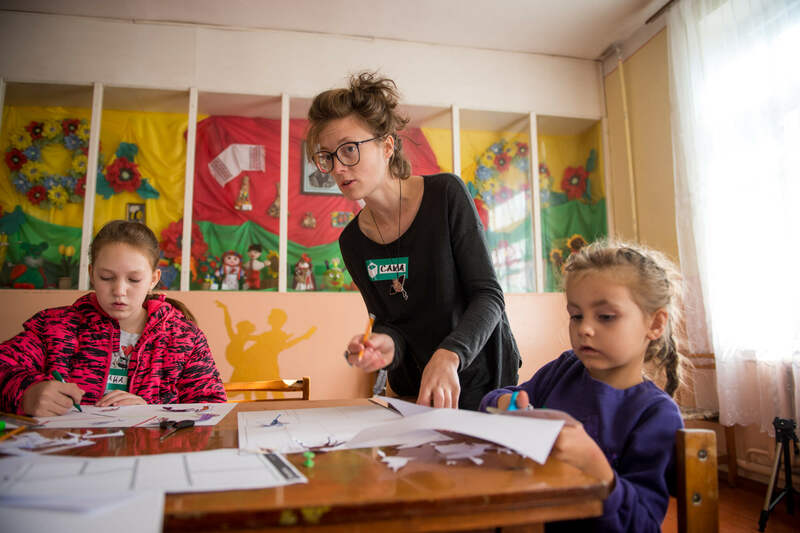 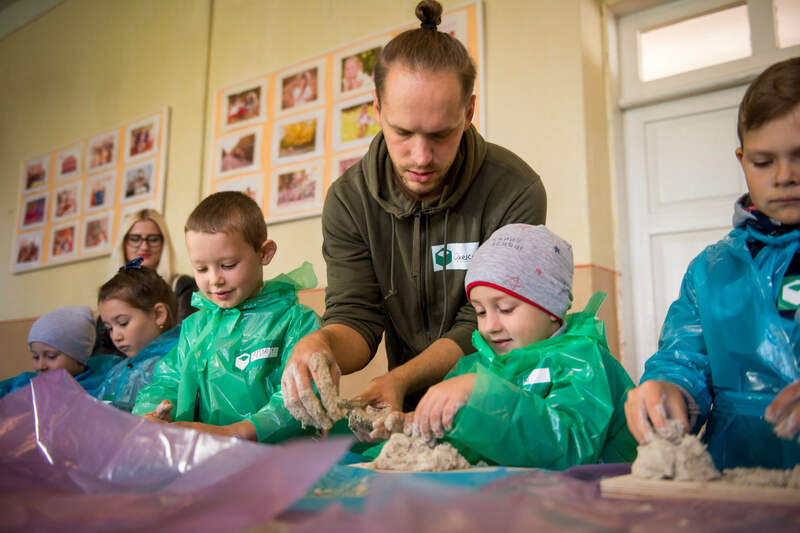 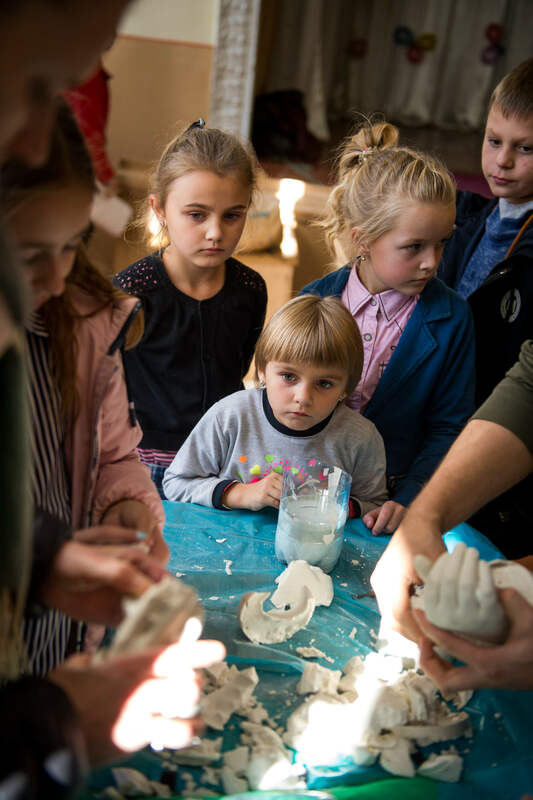 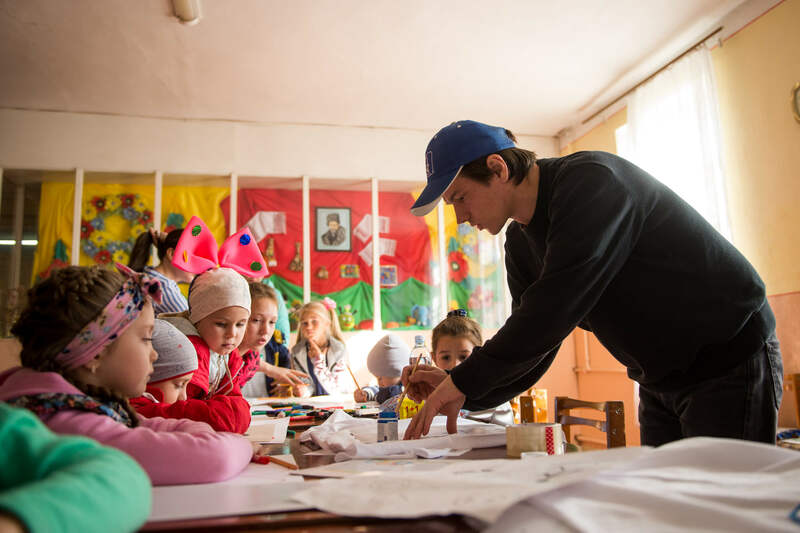 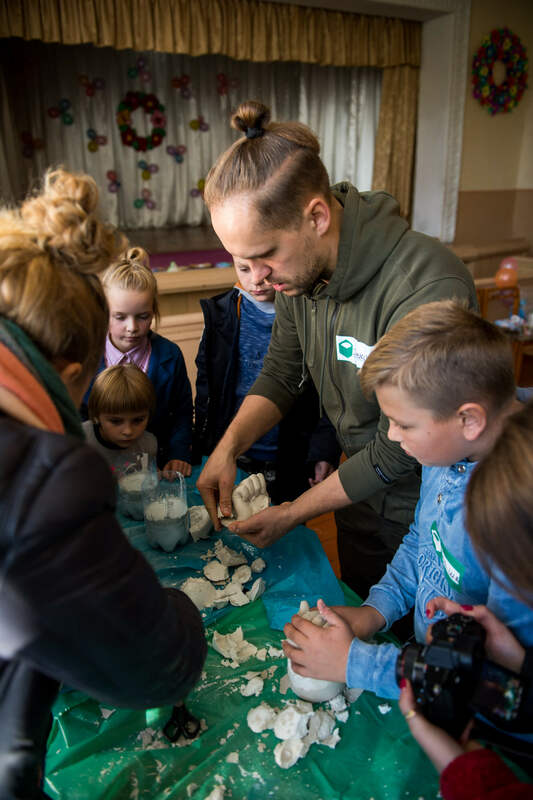 Together with Aleksandra Savchenko the children created a comic, with Vova Vorotnev they painted T-shirts, and with Maria Kulikovska and Aleksey Zolotarev they painted in watercolours and created sculptures from chamotte and plaster. 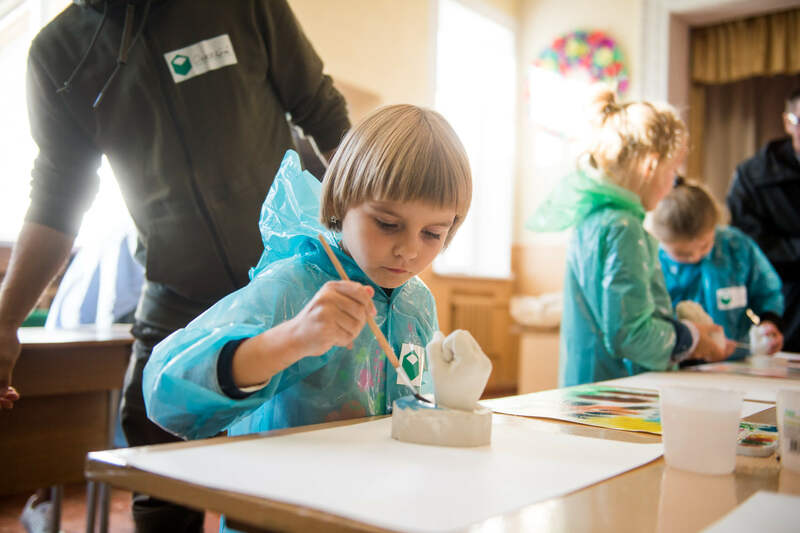 In order to inspire children to work with the materials, during the master class the artists demonstrated their own works, which are now on display in Kyiv, like Alekey Zolotaryov’s “Pear”, which is located in the Poznyaki park in the capital. 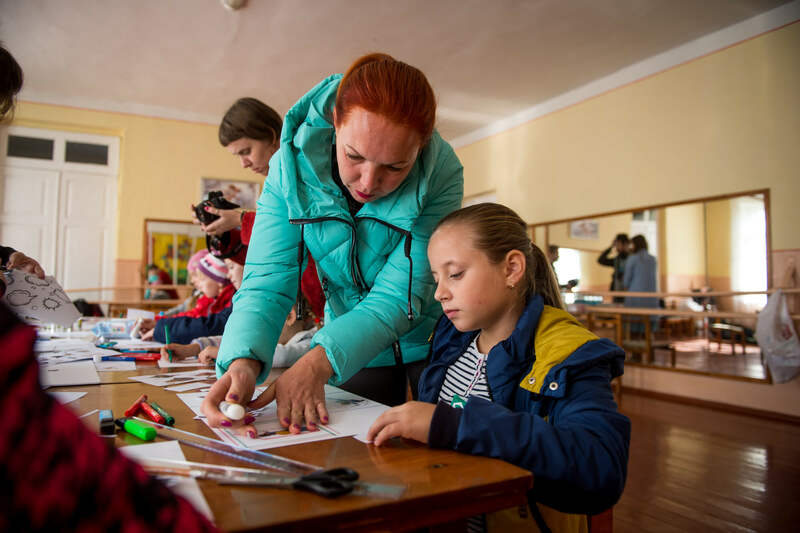 The children were so engrossed in the process of creativity that more than four hours of learning, fun, and communication flew by like a minute. 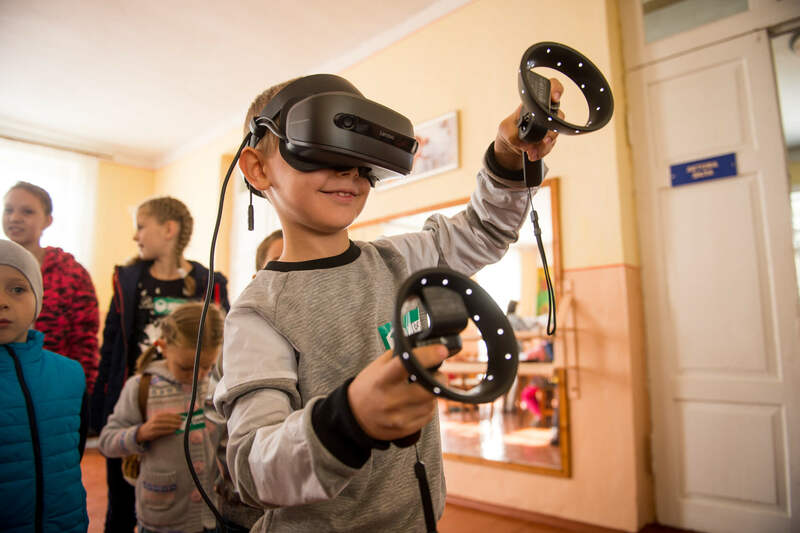 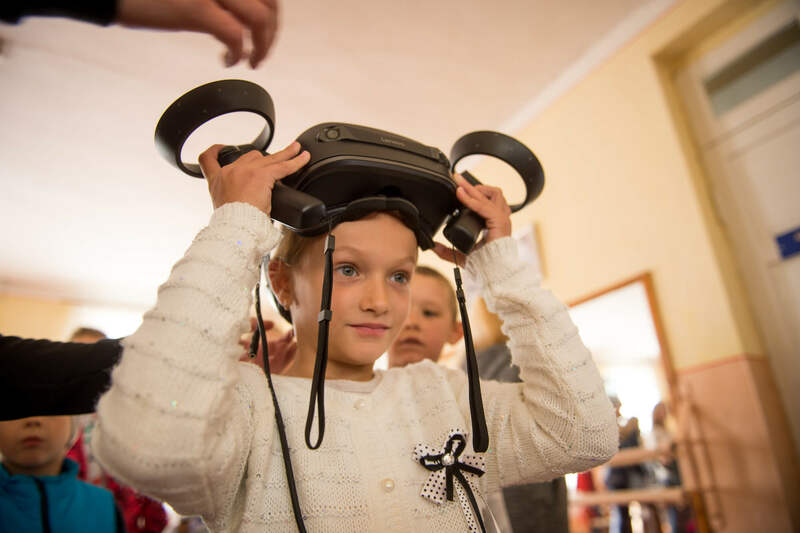 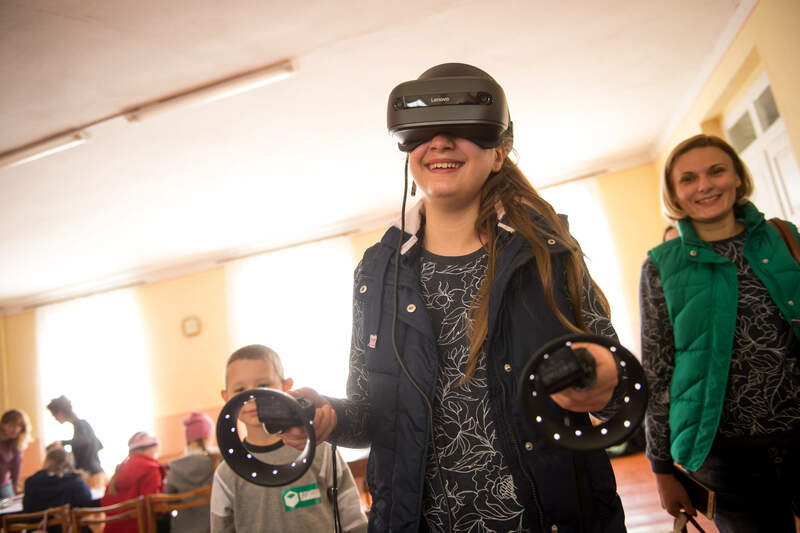 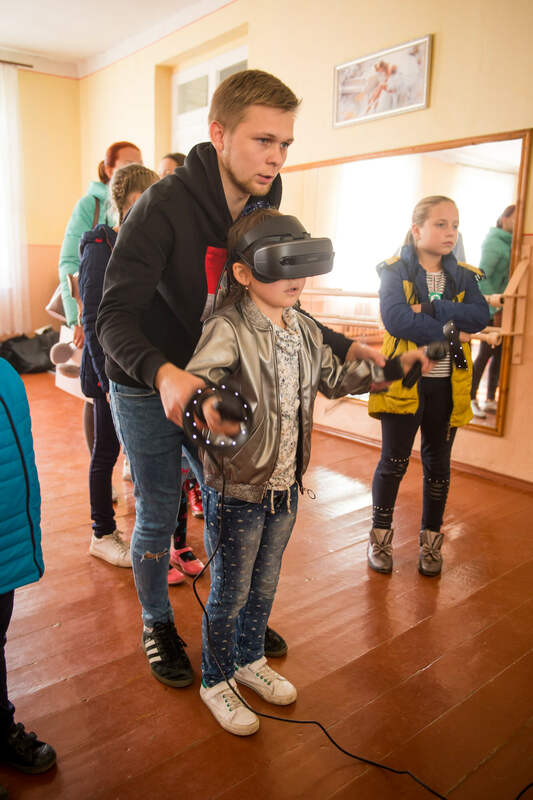 The participants of the festival, both for the children and their parents, were sure to have an unforgettable experience by getting to use a modern VR headset during the workshops. 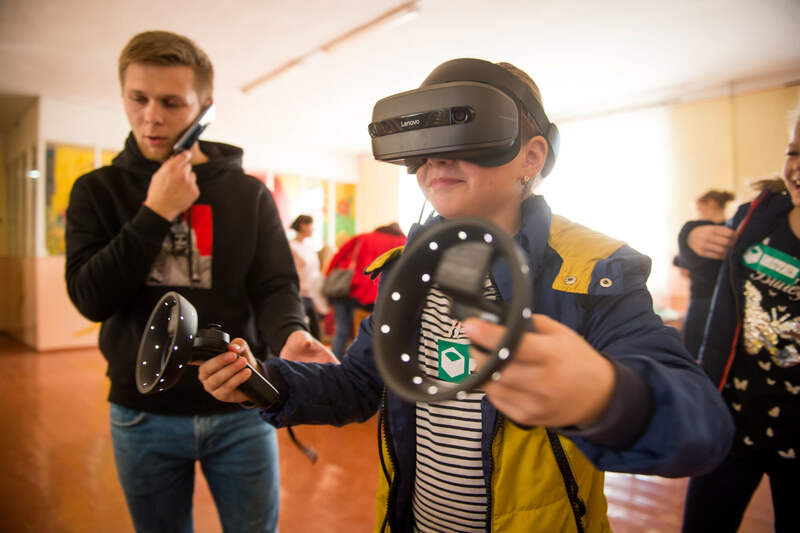 The device was provided by COMFY specifically for the festival. 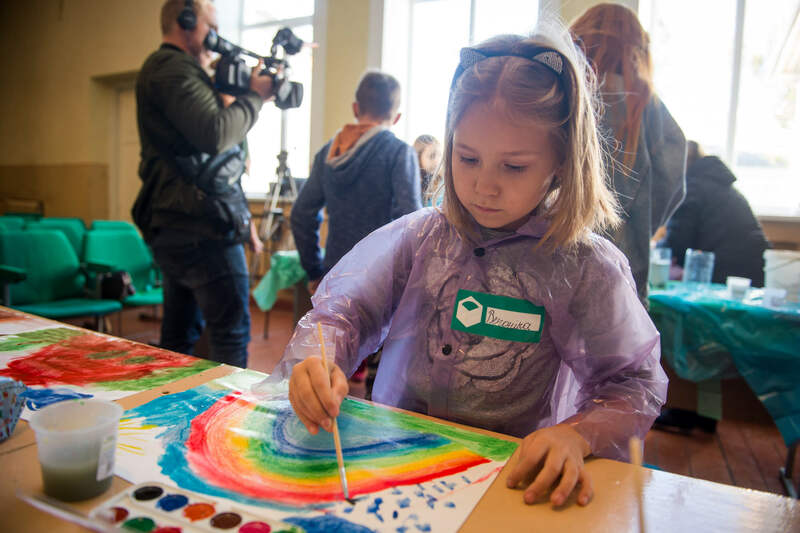 “It is nice that the festival, organized by our charitable fund, became an exciting part of a big celebration and presented many memorable moments to the residents and guests of Zhashkiv on City Day. 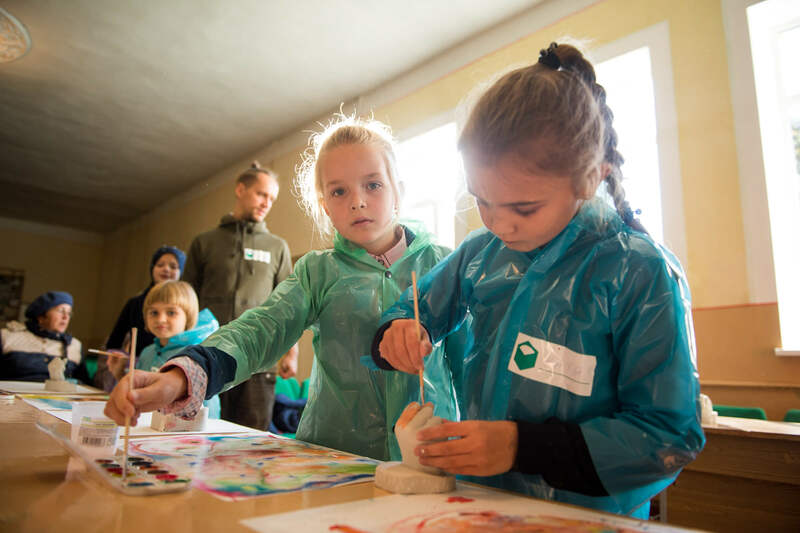 But even more inspiring is that the event was not only entertaining, but it also provided an opportunity for children to meet and communicate with talented young artists, see how recognized artists and sculptors work, and to realize their creative ideas with them. 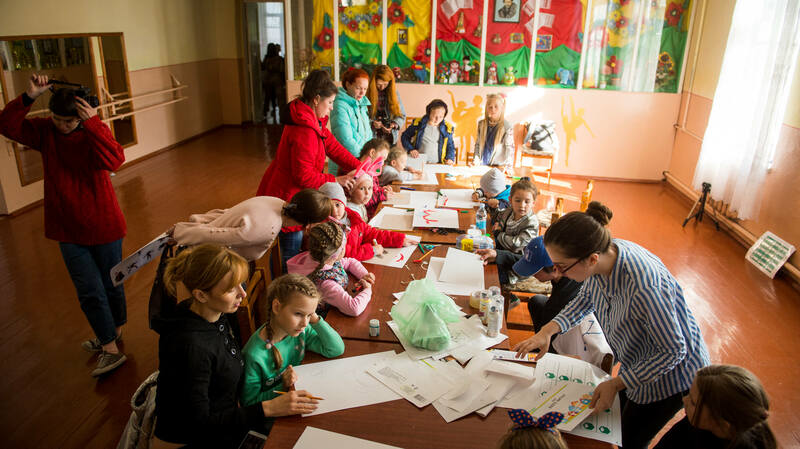 According to teachers from the House of Creativity, where the festival took place, such art events help children to open up, develop their talents and the ability to think creatively, and for some they even influence the choice of their future career”, – noted the PR Director of New Products Group Elena Selutina, when talking about the most exciting events of the festival. 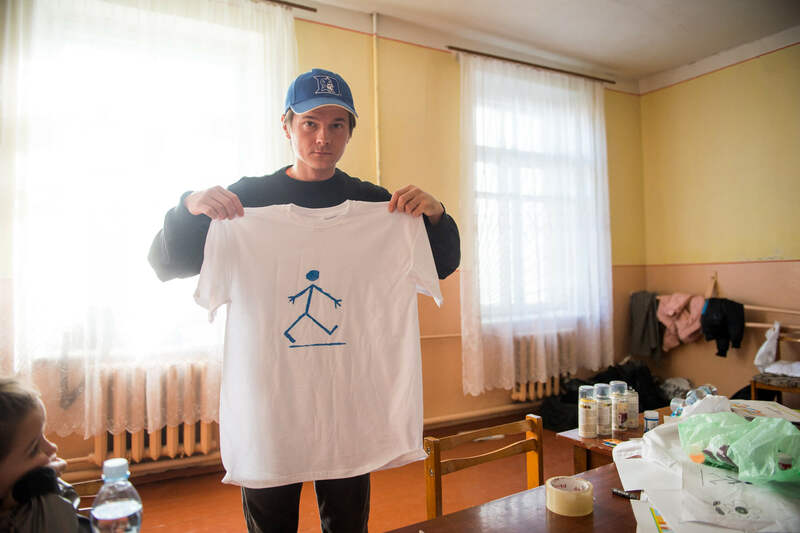 According to the representatives of the Nova Hromada Charity Fund, the collaboration with young artists will continue in the future, therefore, the young Zhashkivites will have many more chances to make art with the renowned contemporary Ukrainian artists.